Apples have been mention throughout history and even in the bible. Apple is cultivated and eaten in almost all parts of the world. Apples have many colors; some are red, green, yellow or gold. Apples can be stored for up to three months after harvesting. One study has revealed that procyanidin which is found in apple is able to induce programmed cell death in human stomach cancer cells (1). One study conducted on animals has showed that apple pectin is able to suppress the growth of breast cancer cells (2) while another study has confirmed that apple pectic acid can cause apoptosis in breast cancer cells in humans (3). 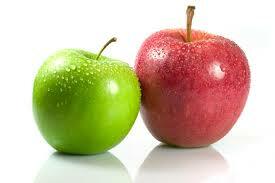 Some preliminary studies also show that apples can prevent other forms of cancer such as colon and liver cancer. Eating 3 apples a day has been shown to bring about weight loss in overweight women (4). Eating apples and other fruits has been associated with a reduced risk of non communicable diseases (5). The consumption of apples have also been associated with a reduction in the formation of plaques in our blood vessels.The formation of plaques leads to atherosclerosis|arteriosclerosis which is a predisposing factor for hypertension, strokes and heart attacks (6). able reduce the risk of neuro-degenerative disorders such as Alzheimer’s disease in animals (7). The catchin compounds in apple polyphenol extracts have been shown to inhibit the activities of cholera toxin. It can therefore be used to supplement the treatment of diarrhea (8).